Get an 8MP super wide-angle selfie camera with 5.5â€ display, long-lasting battery and fingerprint sensor for secure unlock. Fit lots of friends and more of the scenery into your selfie with a super wide-angle 8MP camera. The Xperia L2 comes with an impressive 13MP camera. It will help you take better pictures with more detail and clarity than ever before. The 5.5â€ HD screen is great for watching movies on the go. And if you want to operate it with one hand, you can simply shrink the view to mini display. Enjoy a more enhanced audio experience with automatically optimised settings thanks to ClearAudio+. Clear Bass will give you warm deep lows, while the equaliser gives you the control to make everything sound just the way you like it. The integrated fingerprint sensor secures your phone so that only you can unlock it â€“ with a single touch. Enjoy your smartphone for longer with a 3,300 mAh battery. Smart charging technologies help keep the battery healthy and give it a longer lifespan. Qnovo Adaptive Charging checks your batteryâ€™s health as it charges, then adjusts current levels to help protect its capacity. Over time this prevents battery decline, keeping your battery healthier for longer. Leaving a fully-charged battery plugged in can damage it. Battery Care charges your phone to 90%, waits, then charges to 100% just before your wake-up time, so your battery stays at maximum capacity over more charges. 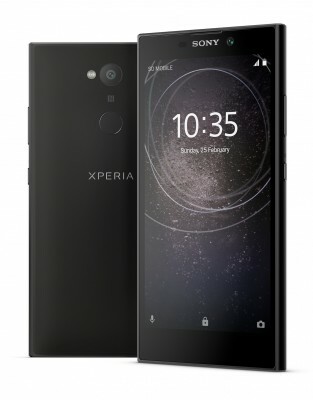 The Xperia L2 keeps things running smoothly behind the scenes with 3GB RAM, and features 32GB storage for your videos and images, with room for a micro SD card if things get tight.